For as long as I can remember, I have been drawn to kitchens. My fascination with food was born out of both the profound sensorial pleasures I experienced eating juicy summer tomatoes tossed in pasta as well as the thrilling, ephemeral alchemy that manifested at our family table whenever we gathered to share a meal together. 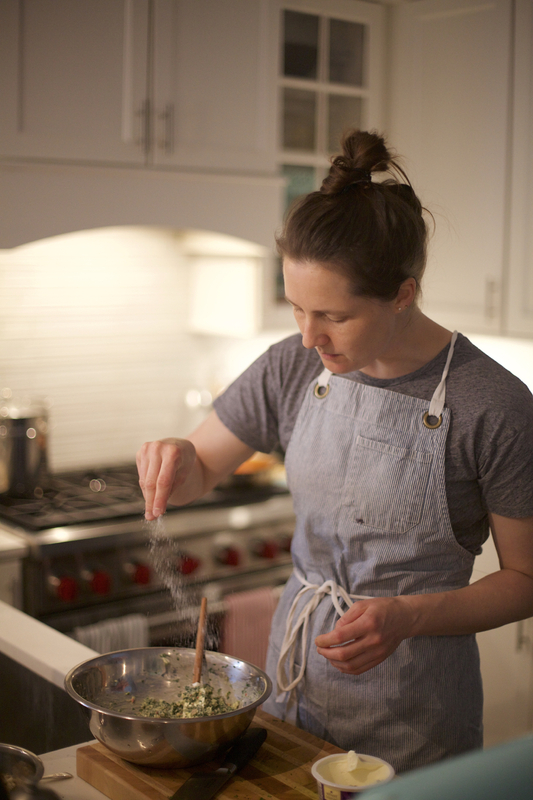 As a child, I had a deep curiosity about the interplay between food, memory, social connection, the sensation of feeling truly satiated, which set me on a wildly exciting — albeit unexpected — foray into the food world. After stints in the Peace Corps and the office of the DC Public Defender Service, I decided to indulge my fascination with food and moved to Florence to study food writing. Later I attended The Culinary Institute of America and went on to work in the kitchens at Blue Hill at Stone Barns, Chez Panisse, and the Rome Sustainable Food Project. At its core, the acts of cooking and eating are about communion, both with ourselves but also with others. Never has this seemed more urgent than today; busyness has become a status symbol and most of us are forced to eat lunch on the run, if at all. Stopping to eat a meal has become a revolutionary act in a world driven by speed and technology. Good food cooked well with intention comes to symbolize something much bigger and more important than physical satiation: It is an invitation to connect with something larger than ourselves, to satiate both the body and the soul. In that vein, I am continually inspired by the power of good cooking to bring us back to ourselves to remind us of our own humanness.